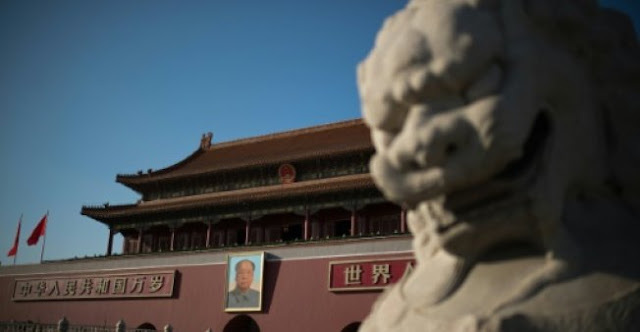 BEIJING - China on Friday lashed out at the decision by Standard & Poor's to downgrade the country's credit rating, calling the warning against ballooning debt "mistaken" and based on "cliches" about its economy. The agency slashed China from AA-minus to A-plus on Thursday, a move that followed a similar decision in May by Moody's stemming from concerns that the world's second largest economy is increasingly overleveraged. "Standard & Poor's downgrade of China's sovereign credit rating is a mistaken decision," the finance ministry said in a statement, adding that the move was "perplexing." It went on to scold the company for making a decision based on "cliches" about China's economy. The rating "ignores the unique characteristics of the capital raising structure of China's financial markets", it said. "Most unfortunately, this is inertial thinking that international ratings agencies have held for a long time and is a misreading of China's economy based on the experiences of developed countries," the ministry said. "This misreading also overlooks the good fundamentals and development potential of China's economy." S&P followed the move on Friday by cutting the top-notch credit rating of Hong Kong citing the city's close links the the mainland economy. Debt-fuelled investment in infrastructure and property has underpinned China's rapid growth, but there are widespread concerns that years of freewheeling credit could lead to a financial crisis with global implications. Beijing has been clamping down on bank lending and property purchases, but those efforts are complicated by the government's determination to meet its full-year growth target of around 6.5 percent. That compares with last year's pace of 6.7 percent, which was the slowest in more than a quarter of a century. Despite the downgrades, analysts have said China's efforts to deal with the explosion in credit growth have been effective. "In our view, China's debt situation has actually improved," ANZ Research said in a note Friday, adding "we do not expect much financial market impact from the ratings action." When Moody's downgraded China to A1 in May, it was the first time in almost three decades that the country's credit rating was cut. China posted better-than-expected second quarter growth as the economy expanded by 6.9 percent, but analysts have warned that the momentum may not last. S&P said it "may raise" its rating on China if debt growth slows significantly while the country maintains economic expansion at "healthy levels". However, it warned another downgrade "could ensue if we see a higher likelihood that China will ease its efforts to stem growing financial risk and allow credit growth to accelerate to support economic growth". China on Friday lashed out at the decision by Standard & Poor's to downgrade the country's credit rating, calling the warning against ballooning debt "mistaken" and based on "cliches" about its economy.